Nothing much going on. I’m still waiting for the final contract for that ten-book deal I was talking about, that is, for nine of my back-list books plus my new novel Million Mile Road Trip. Meanwhile I’m revising Million Mile Road Trip to the tune of maybe five thousand corrections…that is nearly twenty per page across three hundred pages. Making it better no doubt. Meanwhile you can still buy the old Transreal Books editions of those nine backlist books. Here’s some recent photos, in no particular order or higher meaning. 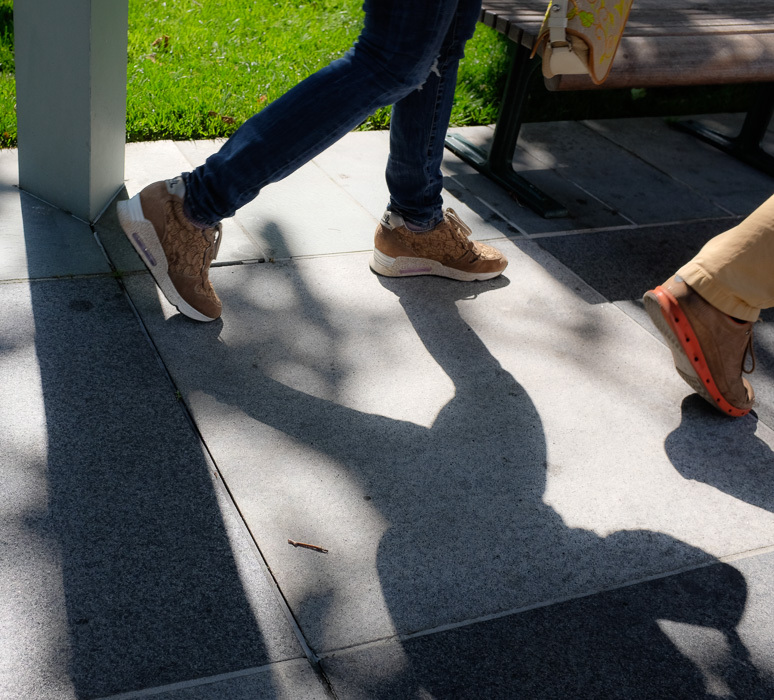 Busy feet in Yerba Buena park near SFMOMA. California summer day with the air like cool water. 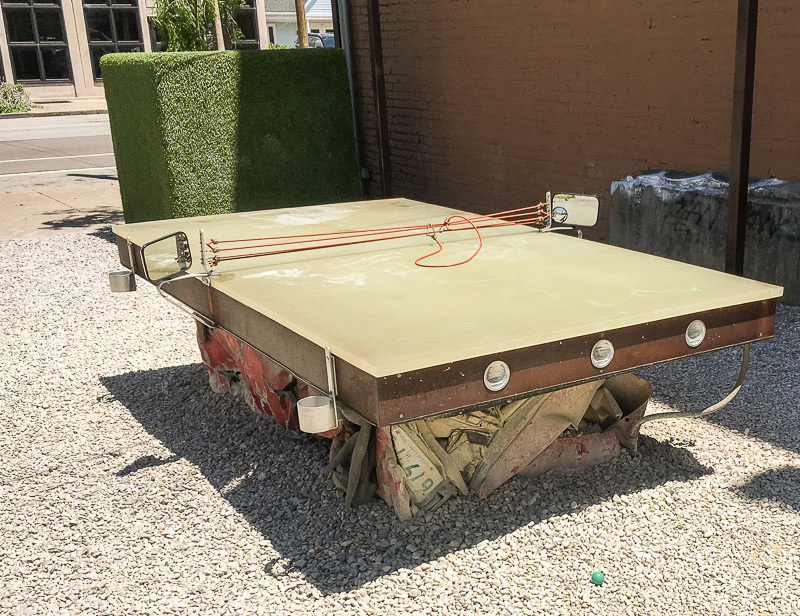 Awesome ping-pong table at the Garage Bar on 2nd street in the NuLu district of Louisville, KY. That’s a crushed car under the table. 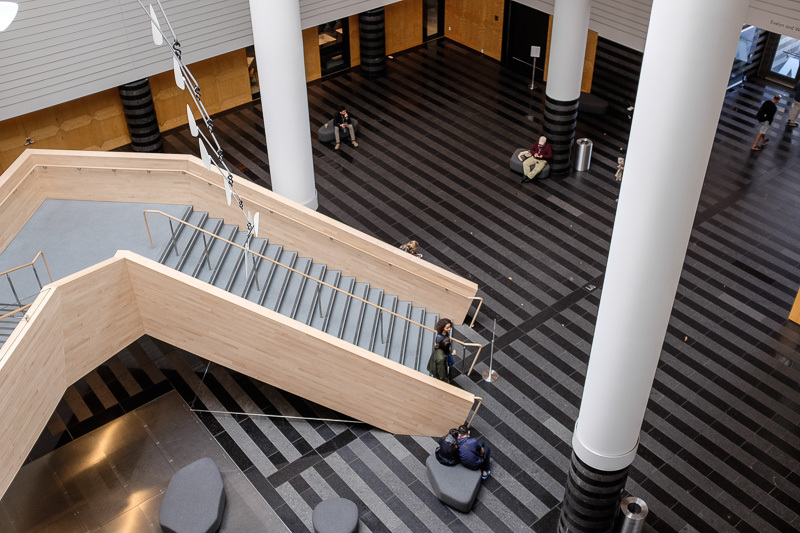 Wideangle shot of the old SFMOMA entrance hall. I don’t really like the changes they’ve made to the building for the expansion. The elevators are confusing, and there’s no longer a good, big , reasonably priced cafe. Also it’s always too crowded now. 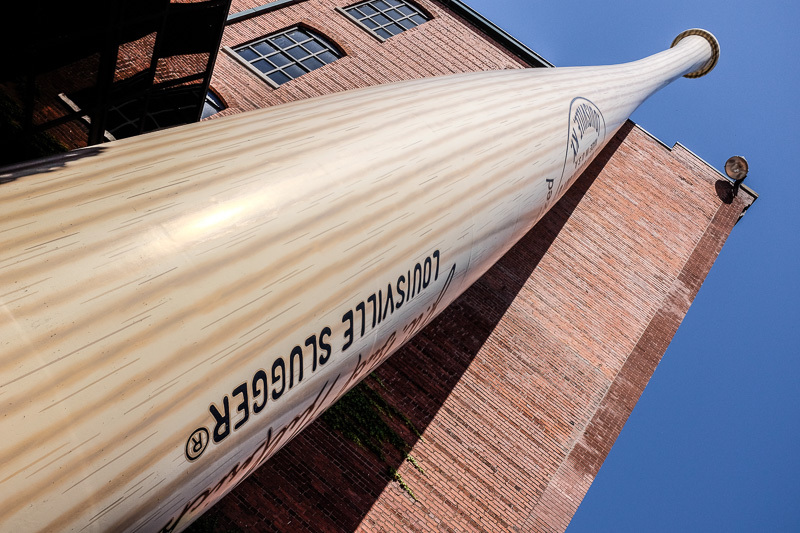 Giant bat at the Louisville Slugger factory/museum on 2nd Street in Louisville. 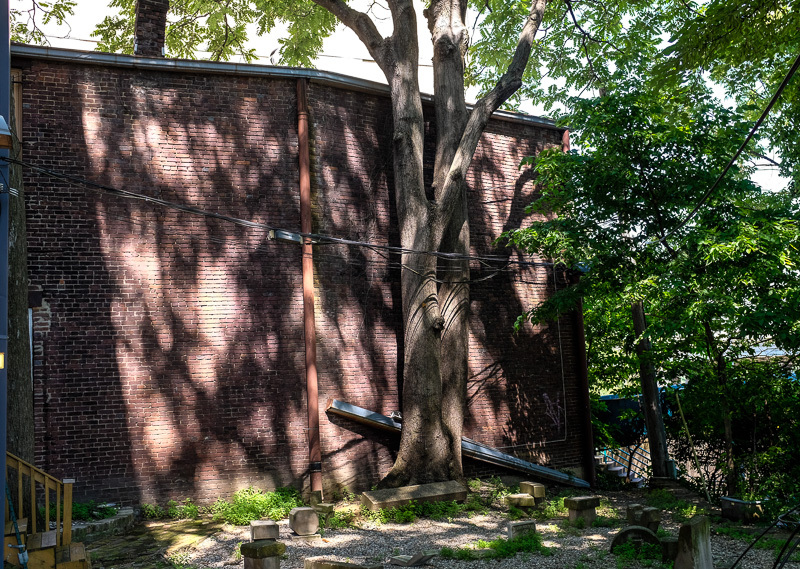 I toured this place in the third grade. They didn’t have the big bat then. 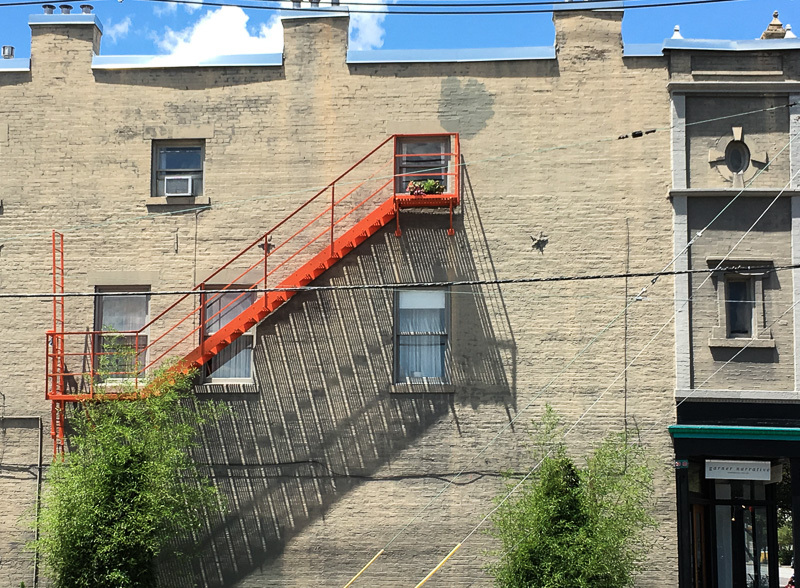 A type of shot I like, shadows on a sunny wall. 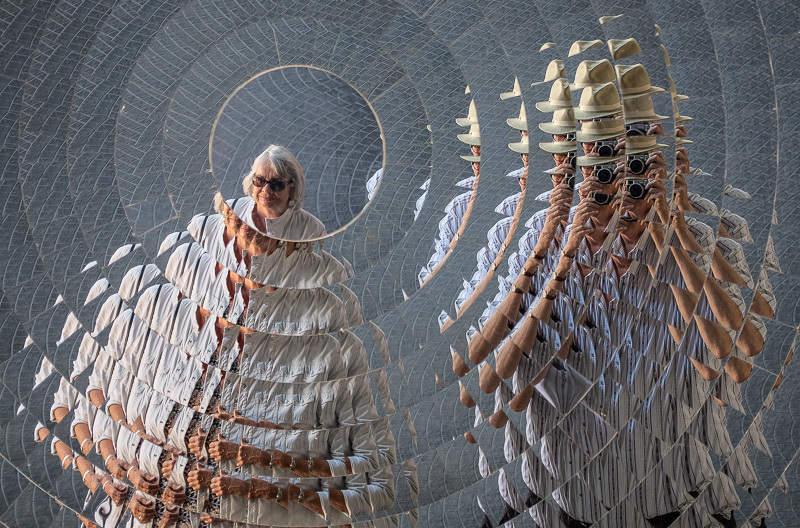 Two tourists in a multi-mirror lens. I’m the one on the right. 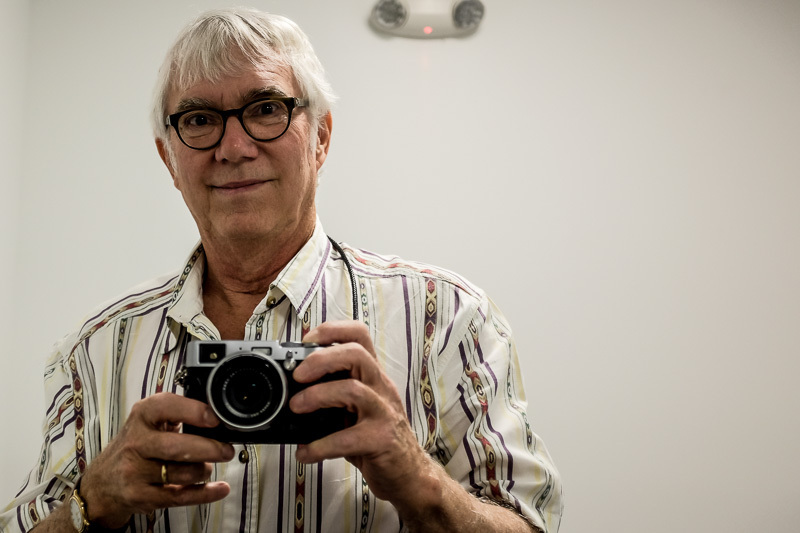 Hockney-ized. Peaceful hot Louisville space behind the crafts museum. Love the purplish brick and the soft shadows. Monica Bengoa is a cool Chilean artist, interested in fiber. 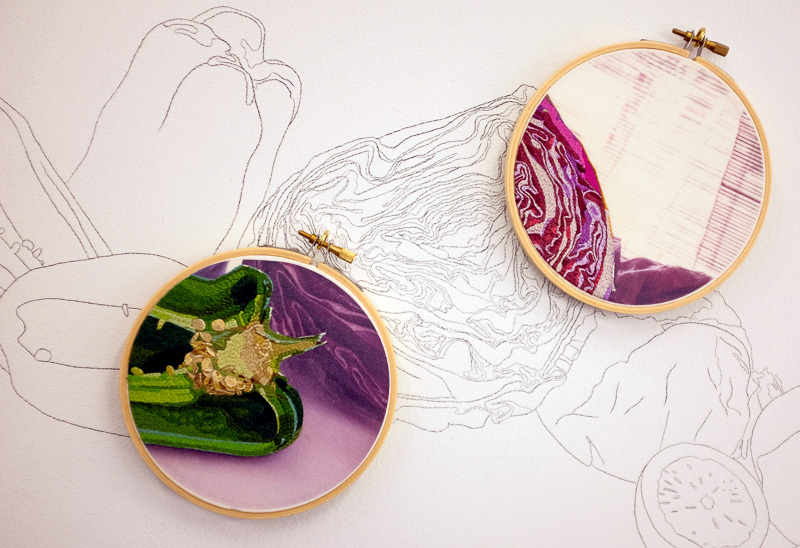 This is a detail of her installation at the Kentucky museum of arts and crafts…she drew fruits and veggies in pencil on a wall, and overlaid it with embroidery hoops containing very detailed and color-rich photo-real embroideries she made. Rudy the elder in brother Embry’s house. 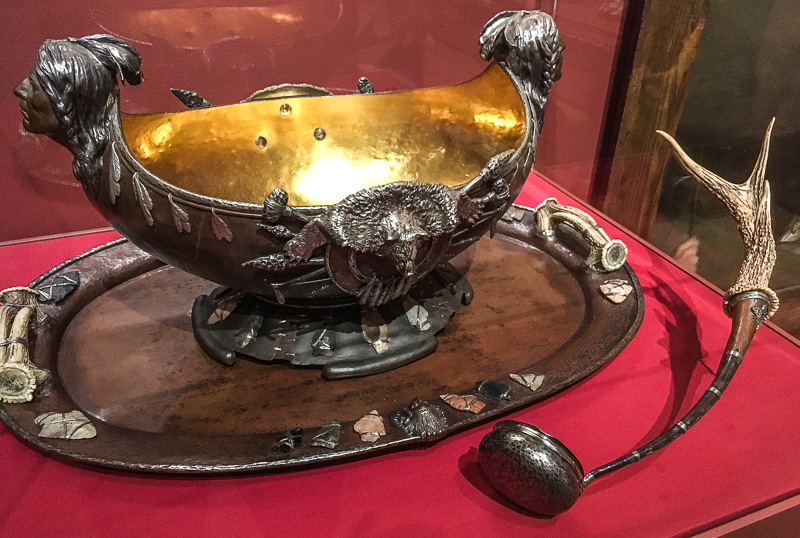 Old-school stag-horn punch-bowl from colonial America, seen in Philadelphia. 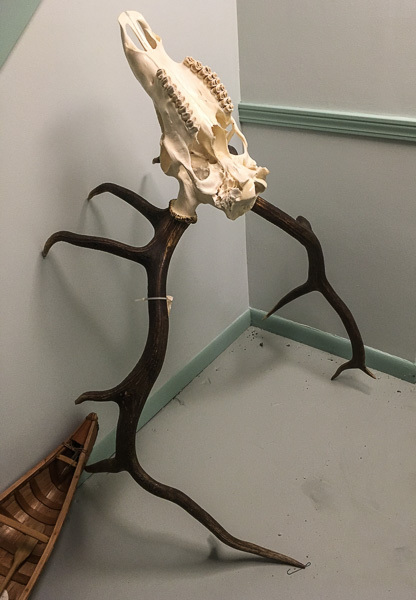 Antler rack of an animal my brother killed…he’s a hunter. 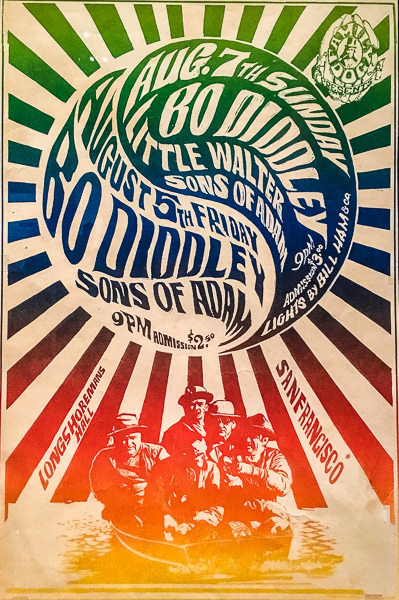 Cheered me to see my childhood hero Bo Diddley on a Summer of Love poster from San Francisco. 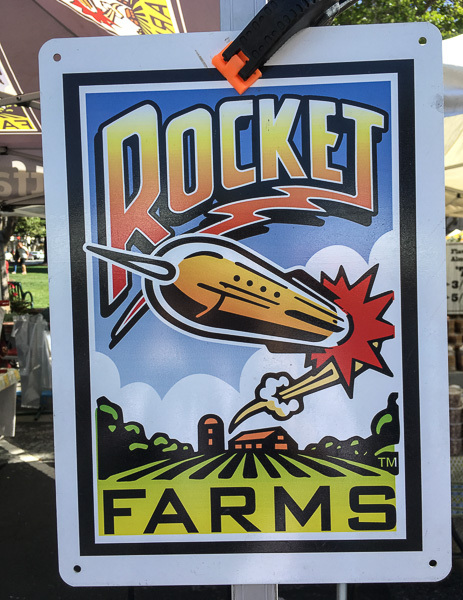 Love this logo at the Los Gatos Farmer’s Market. Reminds me of Heinlein’s novel Starman Jones, where the boy leaves Pa’s farm to serve on a hyperjumping spaceship. 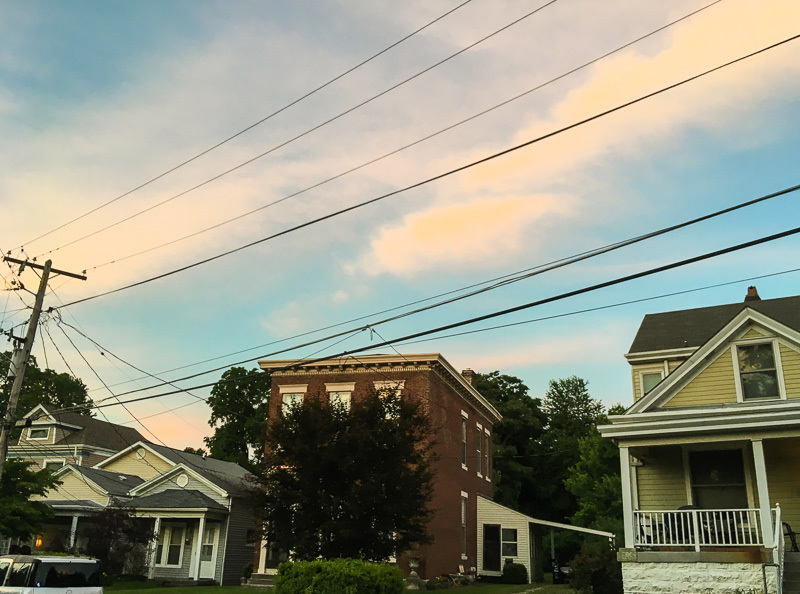 Soft Louisville clouds, with soft old houses. Me with a something-gon in Hayes Valley. 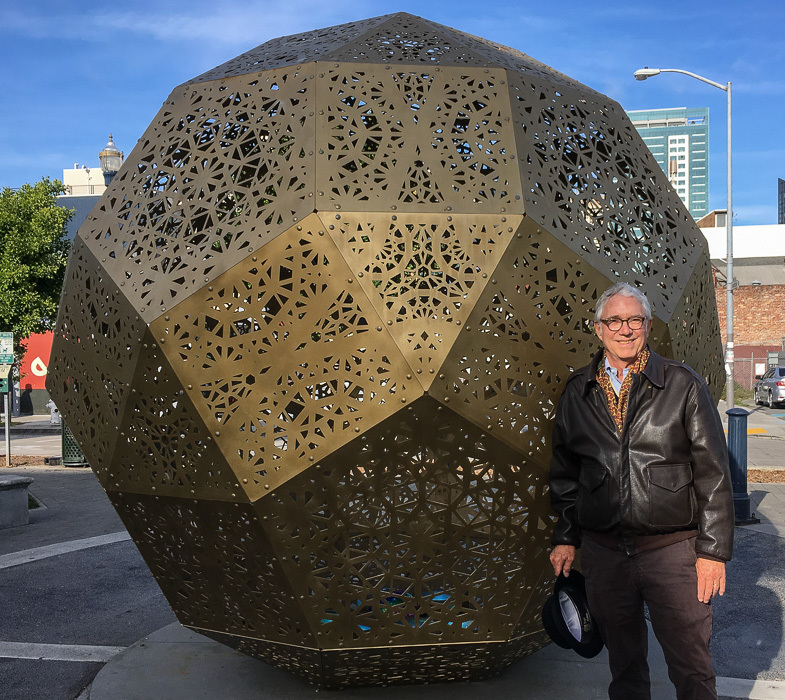 An Archimedean solid, hmm, look it up, it’s the small rhombicosidodecahedron. 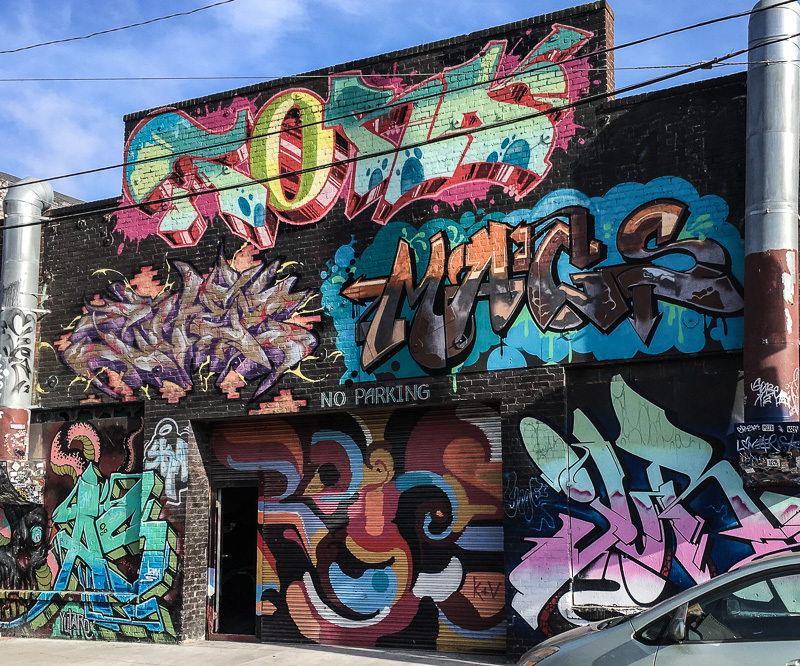 Nice graffiti near the >rhombicosidodecahedron. Even the guy who runs a market across the street couldn’t tell me what the words say. 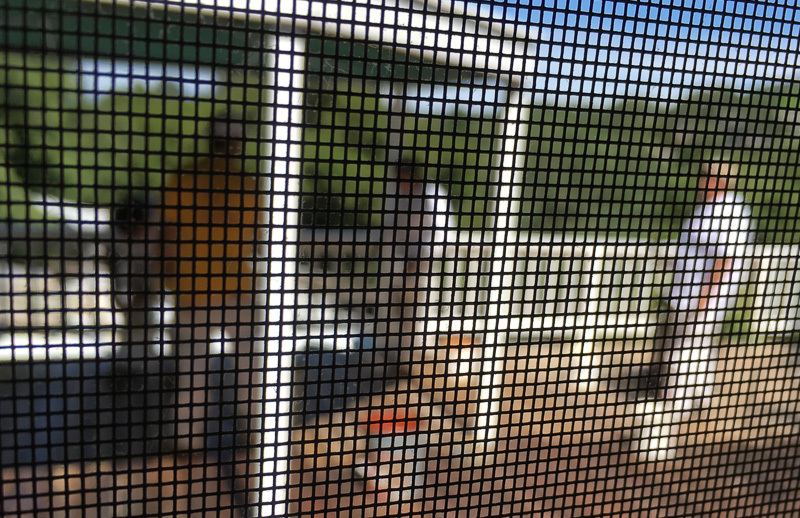 Screen in focus, painters in bokeh, working on our deck and house. The famed Marcel Duchamp urinal entitled, “Fountain,” mais wee! 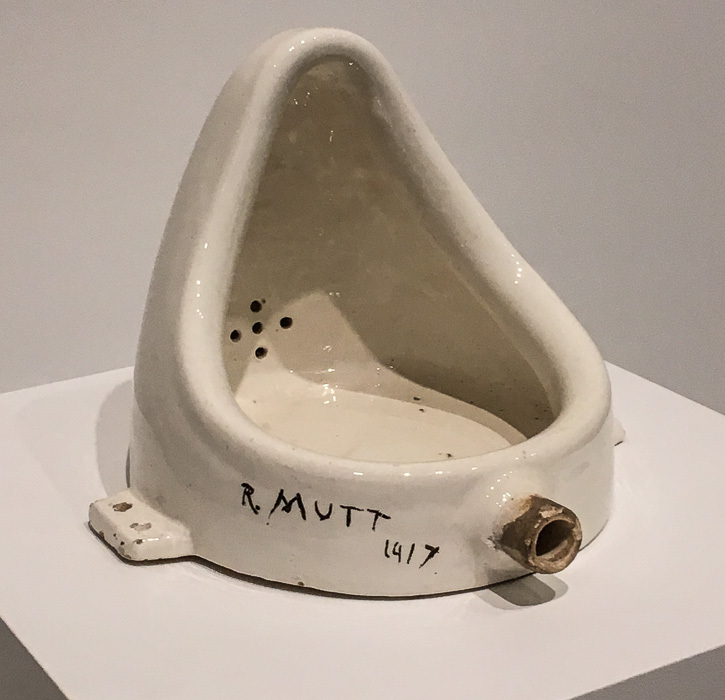 Actually the original from 1917 was lost, but an art dealer went and found a similar urinal at the dump, and had MD sign it. Now at Philadelphia Museum of Art. 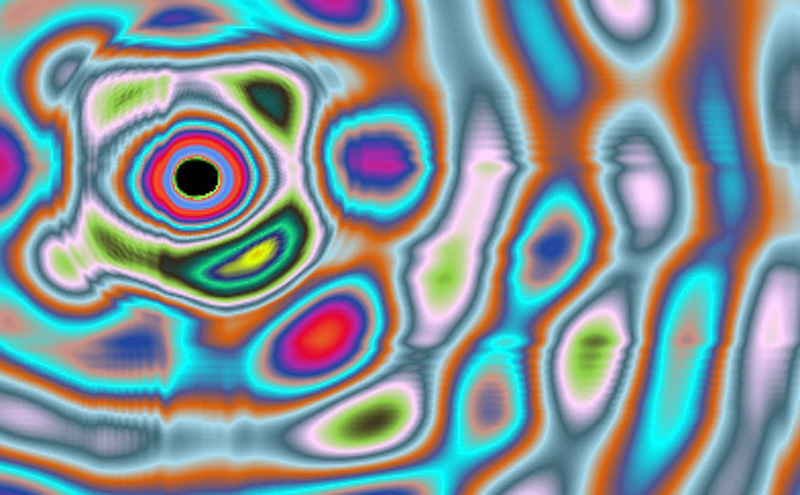 A nice shape, although inexpugnably grody. Going out to beach a lot these days. This entry was posted on Wednesday, June 21st, 2017 at 10:53 am	and is filed under Rudy's Blog. You can follow any responses to this entry through the RSS 2.0 feed. Both comments and pings are currently closed.